Pesto is a sauce originating in Genoa in the Liguria region of northern Italy so it is often know and pesto genovese, and traditionally consists of crushed garlic, basil, and pine nuts blended with olive oil, Parmigiano Reggiano. There are many versions of the sauce, some people add in bit of mint, some use walnuts and some even use peanuts while making. 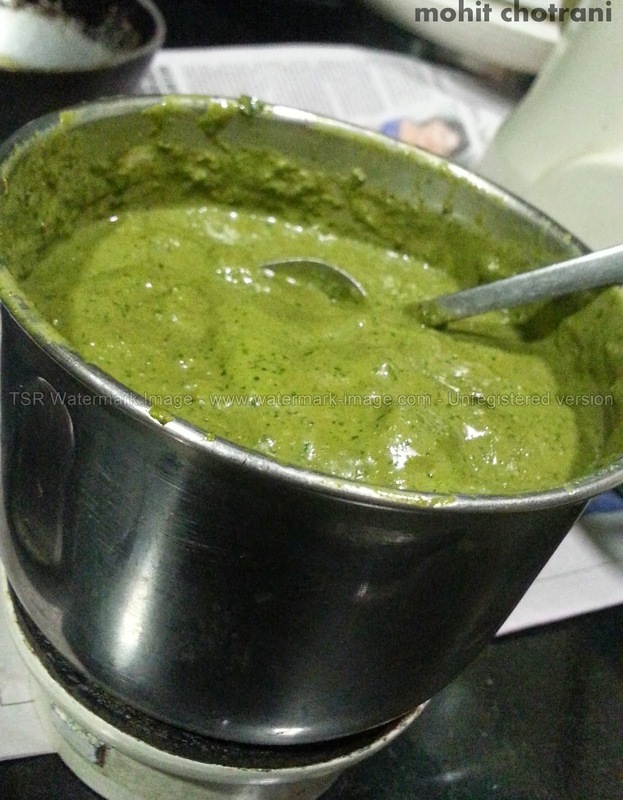 Each family, each person has their own recipe of making their own perfect Pesto Sauce. 1. Clean the Basil leaves and wash them. 3. Put all the ingredients in a blender and blitzz. 4. Add some more olive oil if needed. 5. Transfer to a airtight container and keep in the fridge and use as required. 1. Pine Nuts can be substituted with Walnuts or peanuts. 2. Mint leaves are optional, I add a bit for my taste. 3. Parmesan cheese can be substituted with normal processed cheese. 4. A spoon of Greek yogurt or Creme Fraiche can be added to taste.